Avoid The Pollution, Traffic And High Prices. Experience The Real China And Save Money In A Tier 2 Or Tier 3 City. Free Apartment, Chinese Lessons, 3 Days Off Per Week. With over 300 foreign teachers currently working in our 110 Aston English schools in China, we have a great team in place that are experienced in helping make the transition to China as smooth and stress free as possible for new teachers. If you have made the decision to come and teach in China, by now you have probably realized just how big of a country it really is and how many options are available with regard to which city you choose to live in. While cities like Beijing and Shanghai are definitely worth a visit, we have found that “smaller” Chinese cities often have much more to offer. We have schools in a number of fantastic Tier 2, Tier 3 and Tier 4 cities. Do you like being near the coast? It’s hard to beat cities like Dalian, Yantai, Weihai and Xiamen. Are you a foodie? The historical and culturally rich city of Xian has some of the best street food in China. They know how to do a decent bowl of noodles there. Have you ever been on a camel ride in the desert? Well funnily enough you can do that in Ningxia province. The capital city, Yinchuan, is particularly great (amazing BBQ). So why choose a 2nd, 3rd (or even 4th) tier city? Practically everything is cheaper. Food, transport, entertainment, accommodation etc. While salaries are generally higher in the likes of Beijing, Guangzhou and Shenzhen, the cost of living is also higher. Not only that, but there are far more opportunities to spend your money due to these cities being quite modern and westernized. Smaller tier 2 and tier 3 cities enable you to save quite a bit of money. You will find friendly locals wherever you go in China, but from our experience it’s something you come across more often in smaller cities. People here don’t see westerners as often and really do go out of their way to make you feel welcome. One of teachers commented on how is favorite local restaurant translated their entire menu into English, just for him. • Less pollution, less traffic and less people. There are a LOT of foreigners in 1st tier cities. Even the locals are much more westernized. This can make it harder to immerse in to the Chinese culture and see the real China. Yes, some people want that. However, you risk getting sucked into your own little ‘foreign bubble’. It’s important to put yourself outside of your comfort zone. This way you’ll make more Chinese friends, learn more mandarin and have some great stories to tell. All of our schools offer a free apartment. So there are no expensive set up costs associated with renting your own apartment. Our 23-hour contract offers teachers a good balance between work and having the opportunity to make the most of being in China. With 3 days off every week you will have plenty of time to do the things you want to do. We offer all of our new teachers 4 days training upon arrival. Whether you’re a new or experienced teacher, we’ll make sure you are ready for your first Aston class. We have developed our own curriculum and books, and provide teachers with all the teaching materials they could need, including interactive whiteboards. If you plan on staying in China a bit longer, we have many management opportunities available. 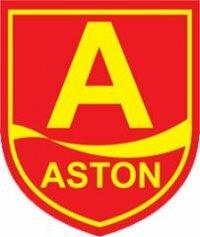 All of our current foreign managers started off as teachers with Aston. Want to speak with some of our current teachers? No problem, we can arrange that for you. Secure your position today and speed up the application process by emailing your resume and recent photo to the Aston English Recruitment Department at: recruiting@astonschool.com Please use the subject line Aston1 in your application.